Ever since the first generation of Pokemon, my number one favorite has always been "#001:" Bulbasaur. I fought high and low many times to keep him from growing into his less exciting evolved forms, and Charizard's and Blastoise's superior design and stats be damned, Bulbasaur is always the way to go. I have an entire army of little plastic ones lined up on the geek section of my shelf, and now I can possibly add another to my collection if I can only discover my inner green thumb to do it. 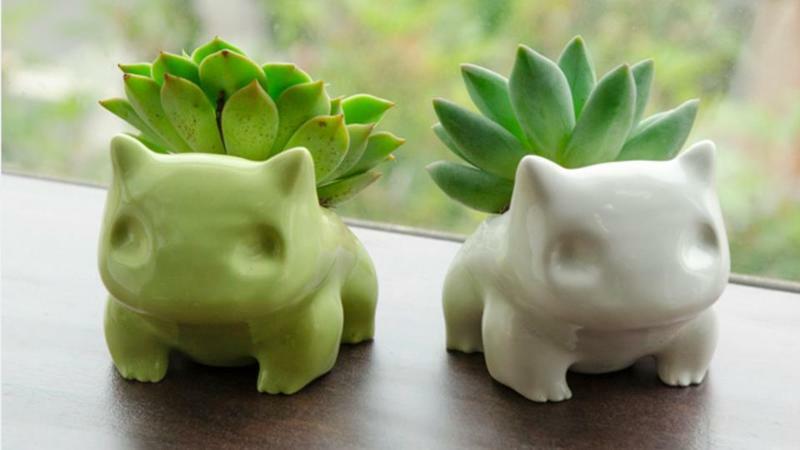 Thanks to Shapeways user ShamefulSquid, you can grow your own "not-Bulbasaur. "We have to call him that because this beast's actual moniker is "succulent monster," and it is not trademarked or officially licensed by Nintendo or The Pokemon Company. In other words, if you want one, you'll have to pick one up soon before it mysteriously disappears. The "succulent monster" is selling for just $49 this weekend before rising to the normal price of $60. It's not like having a real Bulbasaur, which is a shame, but it's almost like having pet. If you don't take care of it, water it, and put it in sunshine, it will certainly die and never shoot Leech Seeds, Razor Leafs or Vine Whips. Hopefully, that plant will never bloom into a flower, and your Bulbasaur will remain cute forever, safe from acute acne and droopy eyes. Ugh, Venusaur is so lame.